Below is a list of the equipment used by Insurance Fraud Specialists, Inc. while conducting surveillance. Owner, Gregg Shannon opts for using quality DSLR cameras paired with quality optical zoom lenses and also uses a method known as digiscoping. 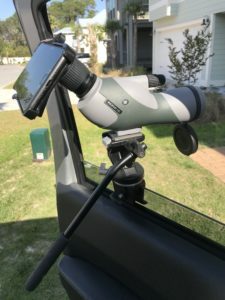 This method connects quality optical spotting scopes and monoculars to smartphones with an adapter for recording HD/4K video. However, the majority of our competition’s field investigators are still deploying dated technology with the use of consumer graded camcorders. Some of these camcorders still record on tapes that deteriorate over time, use standard definition not HD, have fixed lenses that cannot be interchanged, have low-quality digital zoom lenses that produce pixelation including chromatic aberration and poor performance in low light conditions. These agencies’ unwillingness to keep up with new technology is mostly due to cost. A tell-tale sign that they are using old technology is they send video evidence copied onto CDs to their clients. Professional agencies should be using professional equipment and journeymen investigators since your case depends on the quality of evidence they obtain. An iOS Camera “Timestamp” app that burns the correct time & date including the GPS location onto the video captured. The Nightcap app allows iPhones to obtain better quality night time video with minimal light by using ISO settings to automatically adjust as the camera is recording video. 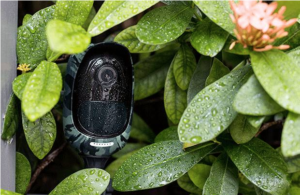 Reolink Go’s wireless portable 1080p HD camera operates on the 4G-LTE and 3G cellular system when no WiFi is available to satisfy any type of surveillance environment. This camera is waterproof with a mini USB rechargeable battery that offers a solar powered option. The camera records sound and video on a micro SD card and or cloud storage. The camera immediately sends a text message to your smartphone and or computer in real time when motion or sound is detected. 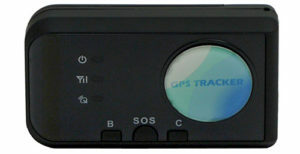 It can also be accessed anytime for monitoring on a smartphone or computer connected to the internet. The camera has a low lux starlight setting, unlike other cameras that rely on infrared light. Real-time mini covert GPS tracker by Conan that has a magnet on the underside and fits in your palm of your hand and uses “pay as you go” cellular service. The Atomos Shogun 4K video uncompressed recorder with a 1920 X 1200 color monitor that records onto SSD (non-moving) hard drives with SDI and HDMI cabling. 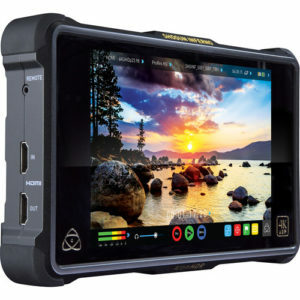 It connects any type of camera or camcorder to bypass their own built-in recording to the Atomos’ recorder that records video without compressing it to maintain the 1080 or 4K HD quality it was intended to have. 4K video uses up large amounts of gigabytes space when recording thus the Atomos recorder can hold lengthy video clips with its ability to house large capacity SSD drives unlike the camera or camcorder recording on SD cards which compress the video and degrades the quality of the video being recorded. This Vitek box 1080p color camera that utilizes 60 fps and has a low lux rating of .0005 (starlight) making it ideal for night surveillance. This camera is IR sensitive thus allowing it to see in complete darkness when attached to IR illuminator (as shown in the picture below the camera) via the camera’s head that is threaded to fit a long range flashlight type 940 nm IR illuminator. 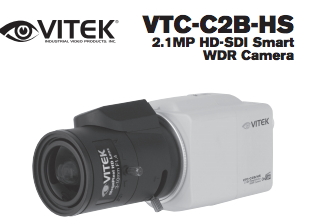 The Tuss 10-350 mm HD optical motorized lens that can be used for day or night with the Vitek’s HD box color camera producing quality HD video at far distances. Manfrotto tripod with a fluid pan & tilt head connected to Manfrotto suction grip with camera support along with other Manfrotto & Vortex accessories – window mount, mini tripod, lateral side arm and a magic arm. The iPhone 8 Plus smartphone’s video camera has an f-stop of 1.8-2.8, H-264 compression of videos, 1080p HD video @ 60 fps, a 5.5-inch touchscreen with 1080p display, 256 GB of memory, 6X zoom and image stabilization. It can also shoot 4K video. 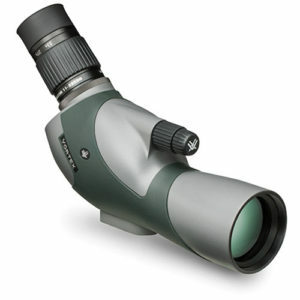 A phoneskope brand adapter that connects the iPhone or any smartphone to custom fit any monocular, binocular or spotting scope on the market. Here is an 11X-33X 50mm Vortex Razor HD spotting scope connected to an iPhone 8 Plus smartphone by a Phoneskope adapter. They are mounted to a Manfrotto pan & tilt fluid head that connect a Vortex window mount to the window. Here is Bushnell Ultra Legend HD 10 X 42mm monocular connected to an iPhone 8 Plus smartphone by a Phoneskope adapter. 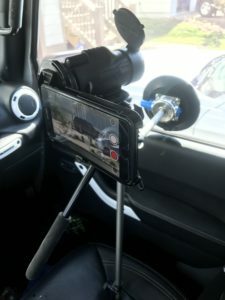 They are mounted on a Manfrotto pan & tilt fluid head that connect a Manfrotto window suction mount to the window. Pivothead’s 1080p @ 30 fps HD color video sunglasses and an HD color 1080p @ 30 fps writing pen with an option for recording sound. These hidden cameras are used in undercover operations. 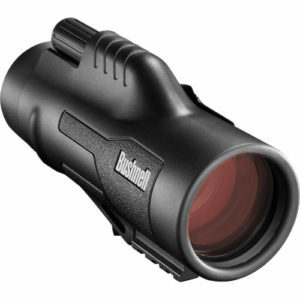 Bushnell’s Ultra Legend HD Optical 10 X 42mm monocular is premium coated glass that is weatherproof. The monocular is compact that fits in the palm of your hand and comes with a carrying case that clips onto a belt. 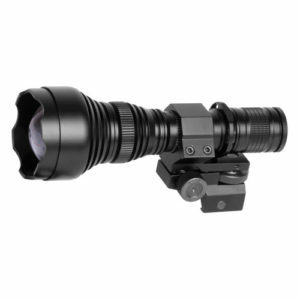 Vortex’s Razor 11X-33X 50mm HD optical spotting scope is compact and lightweight making ideal for mobile surveillance on foot or in a vehicle.